The Regional Archaeological Museum - Plovdiv has its own scientific periodical due to the fact that at the outset it has jointly existed with the Plovdiv library "Ivan Vazov". Initially it was named "Year book of the national library and museum of Plovdiv". After the two institutions split in 1945 the scientific edition was named "Year book of the people’s archaeological museum - Plovdiv", while after 1997 its name is "Year book of the Archaeological Museum - Plovdiv". (Bulgarian, annotations in English ). Annual of the Archaeological Museum - Plovdiv, vol. Х, 2001, (Bulgarian, annotations in English and in French). Annual of the Archaeological Museum - Plovdiv, Dedicated to senior researcher Lilia Botuscharova on the occasion of her 80 th anniversary, vol. IХ/2, 2004, (Bulgarian, annotations in English). Annual of the Archaeological Museum - Plovdiv, contains articles from a scientific conference – 100 years Petar Detev „Pra-historic cultures along the Maritza river and their links with the neighboring areas”, vol. IХ/1, 2002, (Bulgarian, annotations in English). Annual of the Archaeological Museum - Plovdiv, vol. VIII., 1997, (Bulgarian, annotations in French). Archeological Museum - Plovdiv: Booklet for museum's history, 2010. K. Kisiov: Thrace and Greece in the Antiquity, Tumuli from the classical times in the municipality of Kaloyanovo, Plovdiv 2005, (Bulgarian - English). K. Kisiov: The Thracian culture in the region of Plovdiv and along the river Stryama in the second half of the Ist millennium B. C., Sofia 2004, (Bulgarian). K. Kisiov: Guide book – The legacy of the Thracian rulers in the Plovdiv region, Plovdiv 2004, (Bulgarian - English). PULPUDEVA, Semaines philippopolitaines de l`histoire et de la culture Thrace, Plovdiv 10 – 22 October 1986, vol. 6, Sofia 1993. 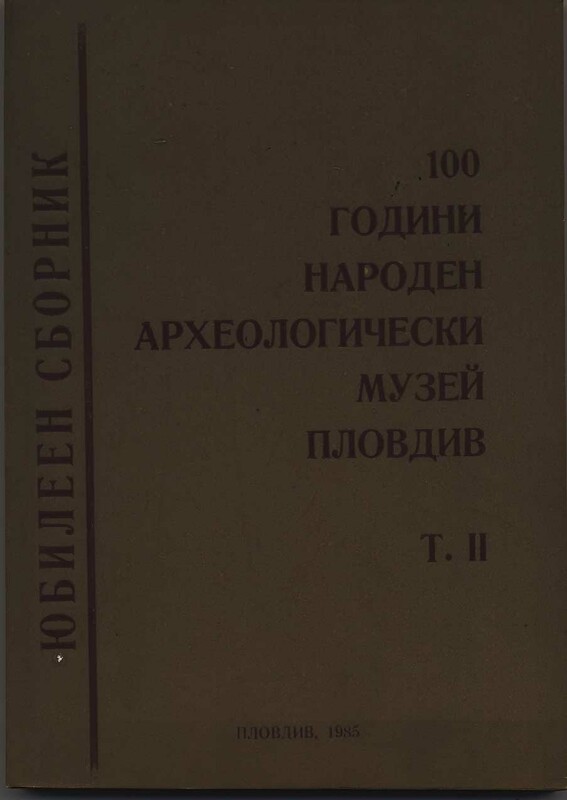 One hundred  years National Archaeological Museum Plovdiv: Anniversary Collection, II Proceedings of scientific session October 20, 1982, Plovdiv 1985.